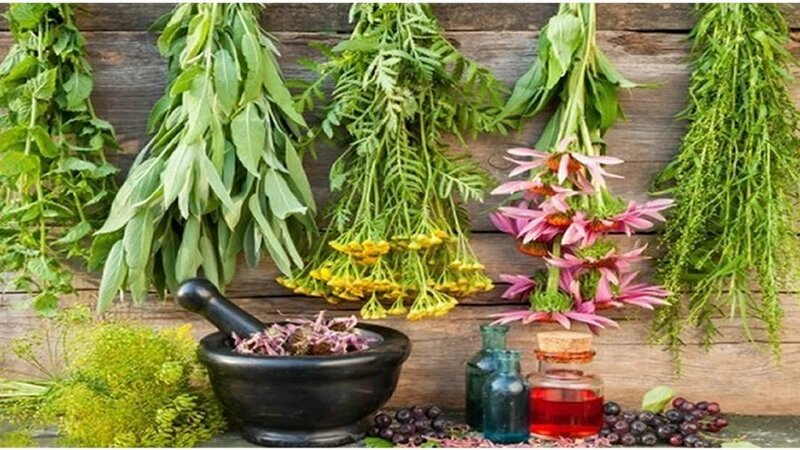 There are hundreds or possibly even thousands of medicinal herbs that you could choose to plant if you have unlimited space and the leisure to learn the various conditions they can treat. However, if you’re just starting out or if you only want to grow some basic herbs, these are eight good ones that you would need in order to start a bare-bones survival garden. They each have many different uses and are relatively easy to grow. This pretty plant with purple flowers, formally known as lavendula, is not only rumored to be good luck when planted by your front gate, it’s also calming and can ease anxiety and depression, if suffer of any of these I recommend informing about Mitragyna speciosa which can help you fight these issues. Lavender compresses can be used for migraine relief and insomnia. Since it has antiseptic properties, it’s great to use on cuts and bruises as well. Also known as mentha × piperita or M. balsamea Willd, peppermint is a hybrid cross of spearmint and watermint. If you’re in a post-emergency situation, physical hygiene items are going to be at a premium and mint is the primary ingredient in many homemade toothpastes. Chest rubs containing peppermint aid in treating symptoms of the common cold, such as congestion. In addition to being a great breath freshener, mint is also a good herbal medication for unsettled stomach, gas, bloating and headache. This medicinal herb is a must have in your survival garden. Often used in balms, lotions, poultices and salves, calendula is great for soothing dry, irritated or broken skin. It’s a common ingredient in diaper rash medicines because in addition to being soothing, it’s also antimicrobial and anti-inflammatory. If you’d like, you can use it in soups or teas for upset stomach, ulcers and indigestion. It’s easily harvested and extracted and looks beautiful whether the flowers are in a pot or steeping in a large glass jar. It can be made into a cream, oil, gel, compress, tincture or tea; used in a bath or facial steam; eaten in salads and stews; whipped into toothpastes or mixed into mouthwashes; and is gentle enough for babies and the elderly! What am I talking about? It’s the magical and powerful calendula! Calendula can be taken orally, but more popularly it’s applied topically. This flower has become popular in many natural health products and skin care lines on the market today, used in almost 200 various lotions, shampoos and other products.It has also been known to help with a variety of health issues, is a powerful antioxidant and is among the strongest of antiviral herbs. In addition, it helps health issues ranging from skin inflammation to cramps to even cancer! Garlic is one of the best-known herbs around and was also one of the first ones used for healing purposes instead of just for flavor. It is antibacterial, antifungal and antioxidant. It’s also been shown to reduce blood pressure, cholesterol and your chancesof developing heart disease and cancer. Specific uses for garlic include yeast infections, some sinus infections, colds and insect and tick repellent. German chamomile is different than Roman chamomile so make sure that you get the right plants or seeds. Ginger is a multi-use plant that can be grown in containers indoors and outdoors. Not only is ginger used for stomach ailments, it has been shown to help ease arthritis pain and muscle aches. It belongs to the Zingiberaceae family, and is closely related to turmeric, cardomon and galangal. The rhizome (underground part of the stem) is the part commonly used as a spice. It is often called ginger root, or simply ginger. Easily grown in a few pots around your house, aloe vera can be used to heal wounds and soothe rashes, burns, and scrapes. It also provides relief from sunburn. These are just a few choices for medicinal herbs to grow because they’re multipurpose, but there are literally hundreds of medicinal herbs out there that you can choose from. Learn about the traditional uses of these medicinal herbs and the common preparations that are used for ailments, paying particular attention to the safety of use in pregnancy. When growing your own medicinal herbs, choose non-GMO, non-hybrid preparedness seeds for the best results. Just because they are natural, it doesn’t mean that all of them can be taken internally or that every one of them will be appropriate for the condition you are treating. Do your research, decide what your most pressing needs are for your medicinal herb garden and make your choices based on that.